"I’m just using it for the presets and for a lot of funky sounds that can find their way within the actual amp sounds to create a complete landscape. Sometimes the simulator sounds tend to peek out, stick out more, than another amp on top of another amp on top of another amp. It’s kind of like a secret thing. Every time I do that with a new engineer they’re like, 'Wow. No one’s ever done that.'" 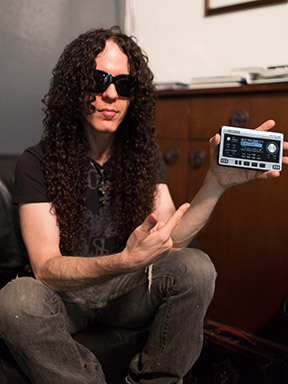 - [Marty Friedman](http://www.bossus.com/community/boss_users_group/1814). No reviews or videos yet for Boss MICRO BR® BR-80 Digital Recorder. With an Equipboard account you can rate this item, add it to your collection, submit a review to discuss what you like and dislike about it, and associate Boss MICRO BR® BR-80 Digital Recorder to artists that use it. Create an account!